After WW2 , the OF (and DF) stayed in service for a long time. 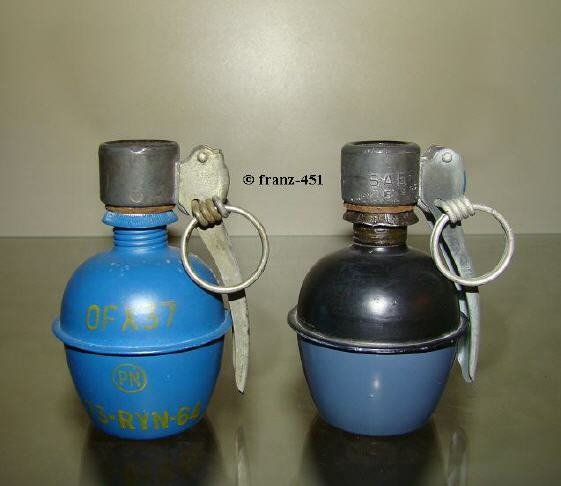 The different fuzes give new dimensions but the body stayed the same as used in WW2. The post-war OF37 was filled with 90gram pulverized Tolite. Bodies were made of sheet steel or aluminium. Fuzes used on this grenade were the BA Mle1935, F3 (right photo) or F5 (photo below). 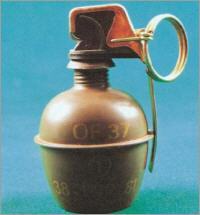 Its total weight lies between 250gram and 300gram, including fuze. When a fuze was not fitted, the body was shut with a plastic plug. 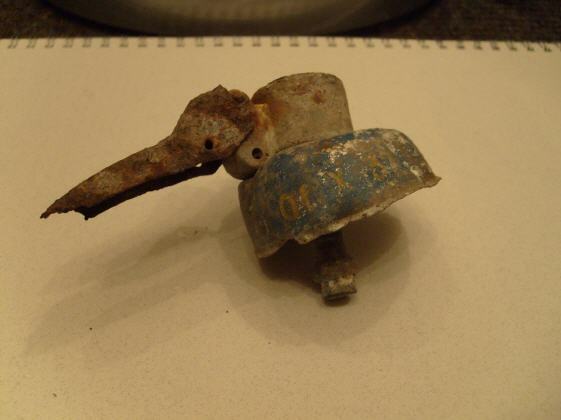 The fuze-well was made of thin aluminium and screwed into the body. Colour may vary from sand to olive drab with black or yellow stencilling. 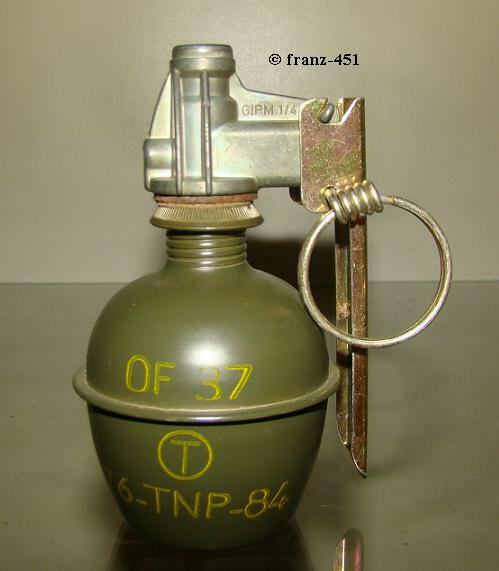 A white body with black markings is a factory-inerted grenade (old paint scheme). 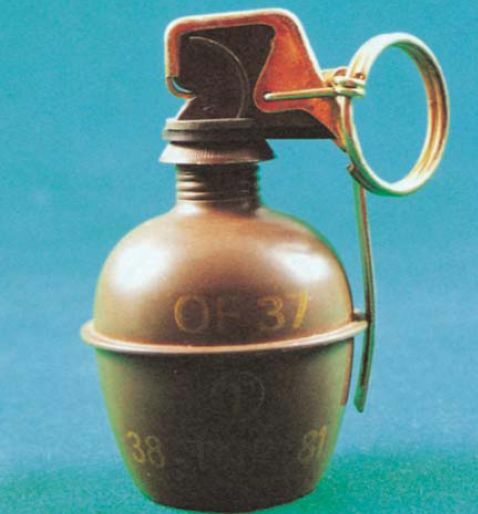 As shown above, the blue and blue/black grenades are inert when no fuze is fitted. These have the body filled with dry chalk, and are used as training grenades. When the fuze shatters the body, the chalk creates a white dust-cloud which simulates detonation.